23 Robert Duggan; 6 Eric McGill, 5 Alan McNally, 15 Jamie Harris, 3 Yael Haro (12 Eoghan Osborne 73); 8 Darren Meenan, 16 Michael Daly (19 Ryan Brennan 67), 10 Paul Crowley, 9 Peter McMahon; 18 Glen Fitzpatrick (13 Darragh McNamara 79), 11 John Flood. 1 Gary Rogers; 6 Damian Lynch, 4 Conor Kenna, 19 Noel Haverty, 3 Ian Bermingham; 7 David McAllister, 18 Gareth O'Connor (23 James O'Brien 88), 17 David Mulcahy, 25 Derek Doyle; 9 Daniel North (11 Paul Byrne 87), 21 Ryan Guy. 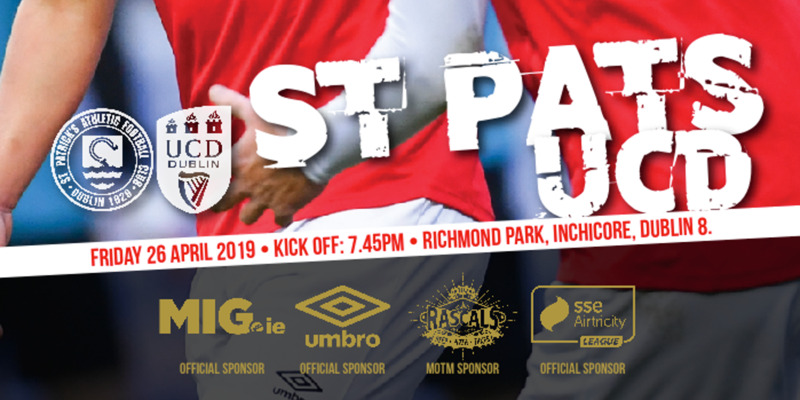 St Patrick's Athletic reignited their European challenge with a convincing victory against 10-man Drogheda United whose defeat all but consigns them to the Airtricity League First Division. 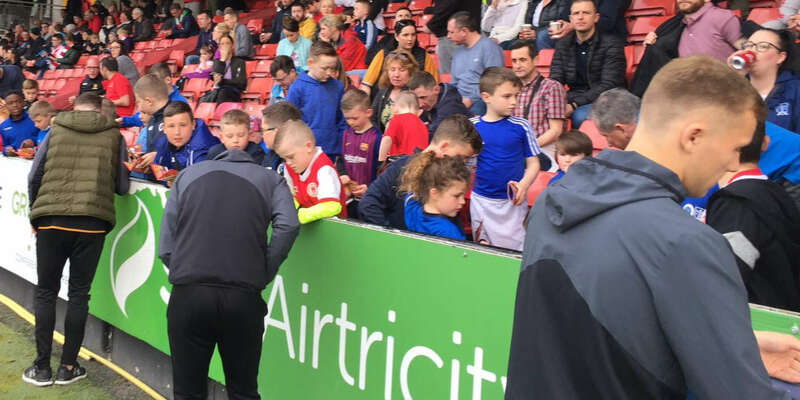 The Boynesiders might have been expected to give Pete Mahon's side a harder test under their new manager Bobby Browne, but in truth they were never at the races and Pat's didn't have to move out of second gear to secure the points. The visitors dominated the early stages without really threatening, and the best chance of a goal stemmed from a mishit back-pass by Drogheda's Spanish left-back Yael Haro, but keeper Robert Duggan spared his blushes by racing from his area to boot the ball clear from Daniel North. However, the Inchicore men did get their noses in front from their first corner kick of the game on 14 minutes. Derek Doyle swung the ball in left-footed from the right-hand side and Ryan Guy ghosted in at the back post to divert a header in off the bar. North then had his name taken for deliberate hand-ball after surging into the box behind Jamie Harris as Drogheda continued to look shaky at the back, particularly from set pieces. The home side worked hard to create an opening for themselves, but didn't have sufficient bodies in the opposition box when they got forward and they were lucky not to concede again on 31 minutes. Gareth O'Connor caught the home defence square with a pass over the top for North who sprinted clear, but his shot looked to be heading wide and when Guy touched the ball in from two yards he was flagged for offside. Drogheda then survived claims for a penalty when their former centre-half Conor Kenna went down in the six-yard area, and the first 45 minutes came and went with the home side failing to register a shot at goal. Pat's continued to hold the aces after the interval as Guy warmed the hands of Duggan with a long-range shot and North headed over from a David McAllister cross. The Boynesiders finally registered a goal attempt on 55 minutes when Yael Haro's 20-yard effort was deflected straight into the arms of Gary Rogers. But they fell further behind four minutes later when North nodded home from close range after Duggan had parried Derek Doyle's powerful low shot. And worse was to follow for the Drogs when Eric McGill was dismissed for a two-footed lunge on North right in front of the Pat's dugout. 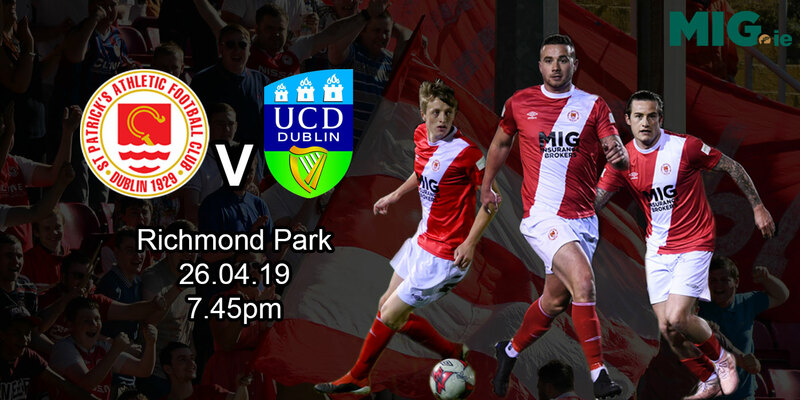 The home side ironically carved out their best chance after that when Darren Meenan raced onto Alan McNally's long ball out of defence and bore down on goal before forcing Gary Rogers into a fine save. But Drogheda endured further misery on 85 minutes when Gareth O'Connor's curling free kick from near the left touchline evaded everyone in the box and landed in the net.